M1’s results were in line, with a 11.5% y-o-y decline in core FY17 earnings on margin weakness and the underlying tight mobile competition. Fixed service revenue remained the bright spot, offsetting the decline in mobile and international call revenues. The telco remains the most susceptible to competition, given its larger mobile exposure and the bigger proportion of lower ARPU customers. We project a 2-year core earnings CAGR of -13% from new entrants coming into the market. The stock trades at -1SD below the post-GFC mean, with M1's share price having de-rated by over 30% in the past 18 months. Maintain NEUTRAL based on a slightly higher DCF-derived Target Price of SGD1.95 (from SGD1.90, 4.3% upside) after rolling forward our valuations. The over 6% prospective dividend yield offers a downside buffer to the share price. M1’s 4Q17 core earnings fell 6% q-o-q on seasonally higher handset cost and depreciation expense. This brought FY17 core earnings to SGD132.5m (-11.5% y-o-y) – spot on with our forecast and tad ahead of consensus estimate. Fixed services remained the fastest growing segment, up 24.3% y-o-y in FY17 (4Q17: +32.7% y-o-y). This offset the weakness across its mobile and international call services revenues and made up 17% of service revenue – from 13% in FY16. An expected final DPS of SGD0.062/share proposed brings FY17 DPS to SGD0.112/share, reflecting a payout of 80%. EBITDA margin down on higher handset subsidies. Despite the stronger 4% q-o-q growth in service revenue, higher handset cost crimped EBITDA margin, which fell 2ppts q-o-q to 34.6% of service revenue. We expect the trend to persist in 1Q18. Mobile service revenue gained 4.2% y-o-y in 4Q17 (+3% q-o-q) – the strongest since 4Q14. M1 continues to benefit from Circles.Life (CL) – its key mobile virtual network operator (MVNO) customer – which has been gaining share at the lower end of the market with its attractive single SIM-only plan (SGD28/month for 6GB). Average postpaid data usage widened to 4.3GB per subscriber (sub)/month in 4Q17, from 4.2GB per sub/month in 3Q17. M1 has expanded the scope of the infrastructure sharing agreement with StarHub (STH SP, NEUTRAL, TP: SGD2.70) to include the joint upgrade of 4.5G indoor antenna systems for large buildings. While details are sparse, we think the arrangement could contribute to further savings in capex/opex in the medium to longer term on top of the 20-30% projected from active network sharing. 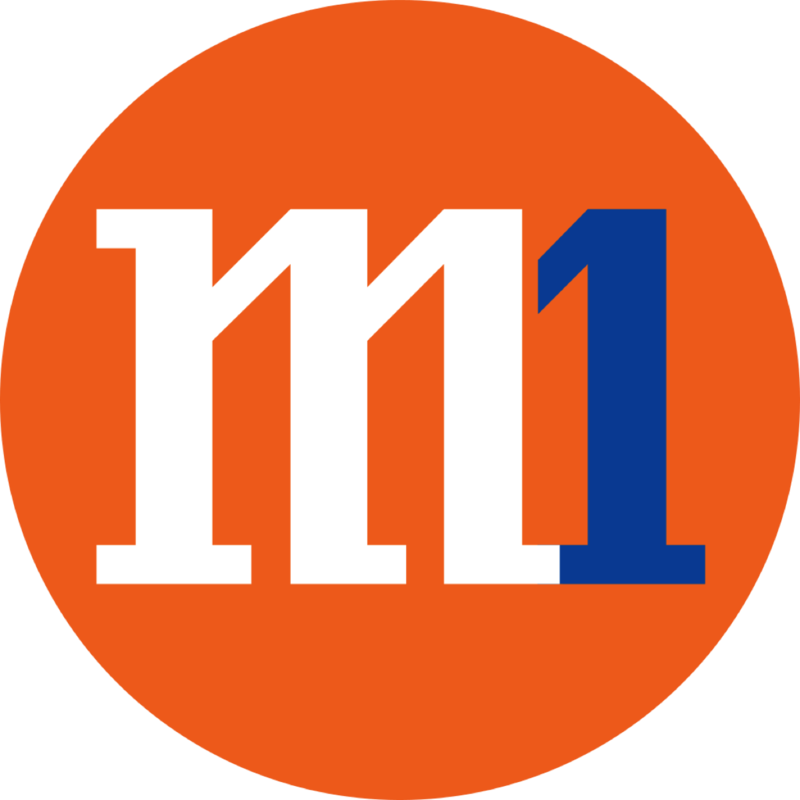 M1 is guiding for lower capex of SGD120m in FY18 from SGD150m , with major project-related capex (including that for the Internet of Things, or IoT) incurred in FY17. We view this as providing some headroom for dividends where the payout guidance has been maintained at 80%. We make no change to our forecast but roll over our valuation base year. Consequently, our DCF-derived Target Price (WACC: 8.5%, TG: 1.5%) rises to SGD1.95. M1’s share price has de-rated by 11-31% over the past 12-18 months, significantly underperforming its peers and the FSTTC (FT-SE Telecommunications Index). Valuation-wise, the stock trades at -1SD below the post global financial crisis (GFC) mean, which we believe has priced in downside risks from new mobile players coming into the market. Other key risks include stronger-than-expected competition, larger-than-expected capex and negative dividend surprises. Lower-than-expected competition and capex would present upside risks.